Stapleton AL, Tyler-Kabara EC, Gardner PA, Snyderman CH. Endoscopic endonasal surgery for benign fibro-osseous lesions of the pediatric skull base. Laryngoscope. 2015 Sep;125 (9):2199-203. Govil N, Stapleton AL, Georg MW, Yellon RF. The role of tympanostomy tubes in surgery for acquired retraction pocket cholesteatoma. Int. J. Pediatr Otorhinolaryngol. 2015 Aug 29. pii: S0165-5876(15)00431-0. doi: 10.1016/j.ijporl.2015.08.028. Albergotti WG, Shurm J, Stapleton AL, Simons JP, Mehta D, Chi DH. Is routine intensive care unit stay necessary after pediatric surpraglottoplasty? JAMA Otolaryngol Head Neck Surg. 2015, 141(8): 704-709. Stapleton AL, Tyler-Kabara EC, Gardner PA, Snyderman CH. The Costs of Skull Base Surgery in the Pediatric Population. J Neurol Surg B. 2015 Feb;76(1):39-42. Stapleton AL, Chang YF, Soose RJ, Gillman GS. The Impact of Nasal Surgery on Sleep Quality: Prospective Outcomes Study. Otolaryngol Head Neck Surg. 2014 Nov; 151 (5): 868-73. Stapleton AL, Egloff AM, Yellon RF. Congenital Cholesteatoma- Predictors for Residual Disease and Hearing Outcomes. Arch Otolaryngol Head Neck Surg. 2012 March; 138(3):280-5. Davidson HC, Stapleton AL, Casselbrant ML, Kitsko DJ. Perioperative Incidence and Management of Hyponatremia in Von Willebrands Disease Patients Undergoing Adenotonsillectomy. Laryngoscope. 2011 July; 121(7): 1399-403. Stapleton AL, Brodsky L. Extra esophageal Acid Reflux Induced Adenotonsillar Hyperplasia: Case Report and Literature Review. Int. J. Pediatr Otorhinolaryngol 2008; 72 (3) 409-413. View Dr. Stapleton's most current publications. Dr. Stapleton's clinical and research interests are centered on pediatric sino-nasal disease. Her research work is centered on studying the bacteriology of chronic sinusitis in pediatric patients and in cystic fibrosis patients. Dr. Stapleton also focuses on immune-compromised patients and those with allergic rhinitis. 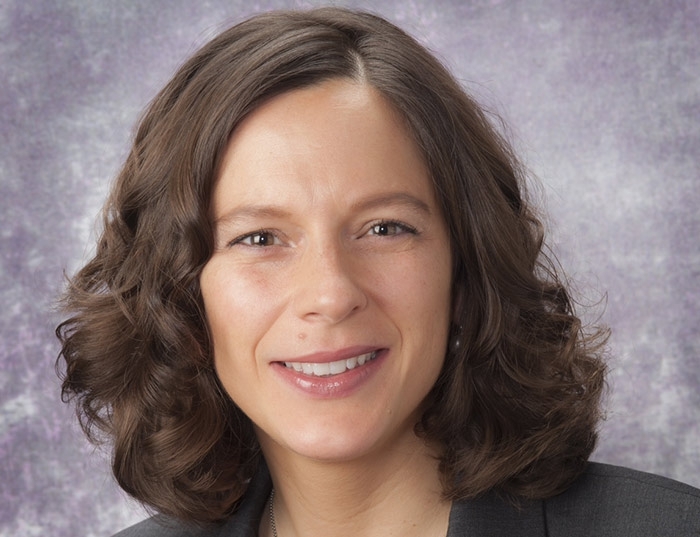 She has a clinical interest in pediatric skull base tumors: their treatment and management.